(TRR) – Rock music icons The Who are returning to the road in 2019. 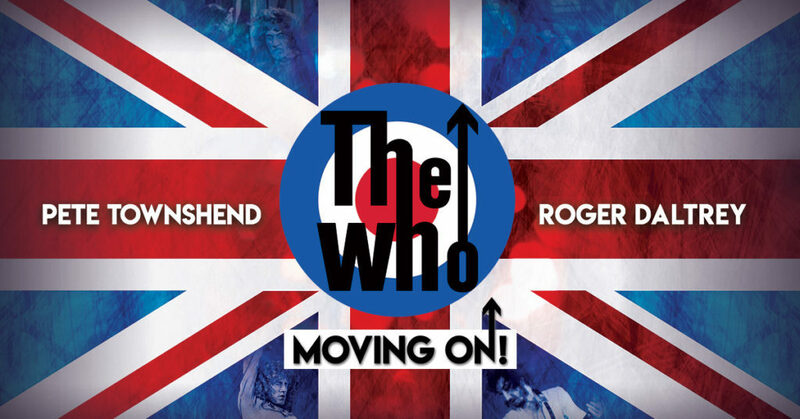 Roger Daltrey and Pete Townshend are bringing back one of the most dangerous rock bands in history for the MOVING ON! TOUR. The North American trek kicks off on May 7 at Van Andel Arena in Grand Rapids, MI and wraps up on October 23 at Rogers Place in Edmonton, AB. Tickets go on sale this Friday, January 18 via LiveNation.com. The Who Fan Club Presale begins this Wednesday, January 16 at 10am local time and ends this Thursday, January 17 at 10pm local time. Every pair of tickets purchased online includes a redeemable code for a CD copy of The Who’s forthcoming album when it’s released. This offer is available to US and Canada customers only and not valid for tickets purchased via resale. In addition, $1 from each ticket sold for the MOVING ON! TOUR will benefit Teen Cancer America. The tour is The Who’s first time back on U.S. soil since their 2017 Las Vegas residency. That same year they did a limited run of shows following 2016’s rescheduled leg of their acclaimed 50th Anniversary celebration. The band also drew praise for their extended 2012-2013 North American run, a 36-city Quadrophenia Tour which saw the band perform their 1973 rock opera of the same name in its entirety. This year, The Who will also be releasing their first album of brand new studio material in 13 years. Their last effort – Endless Wire (Polydor Records/Universal Republic) – debuted at #7 on the Billboard Top 200 back in 2006. Tagged pete townshend, roger daultrey, The Who.